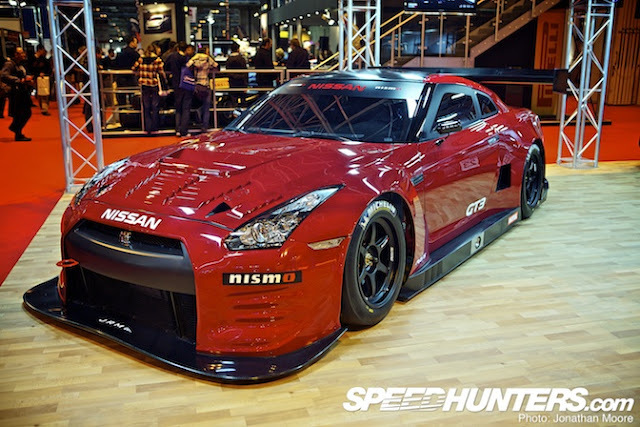 This story is a couple of months old, but it has a lot of good pictures of the Nissan Nismo GT-R GT3 from the cars official release in England. 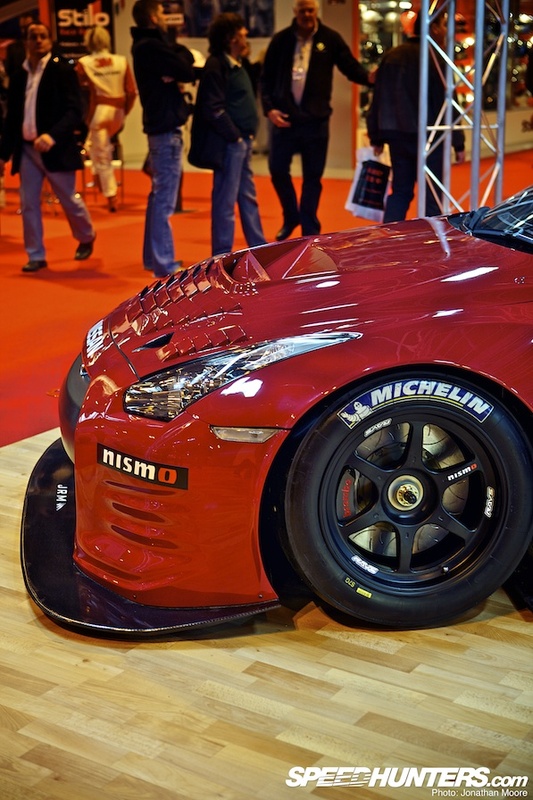 JRM and Nismo are working together to build, and sell this GT3 legal race car. The significant difference between this car, and the GT1 car, is the GT3 car uses the V-6 twin turbo from the road car. 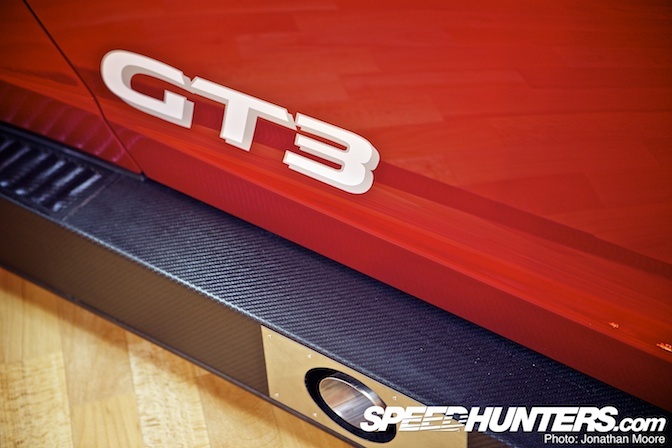 Check out the post from SpeedHunters for all the pictures. Side exit exhaust. Even catalytic converters are optional. Some series require catalytic converters. Large splitter to help put some downforce on the front of the car. The hood is vented to release some of the engines heat. There are also a couple of NACA ducts in the hood to provide air to the turbochargers. The brakes are a Brembo racing caliper in the front, and an OEM based caliper in the rear.